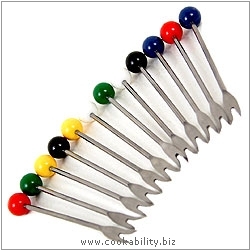 A set of twelve stainless steel escargot picks. Each fork is 8cm long with an ABS colour top. Colours may vary.